2002 Black Big Beat 24"
2002 PAIST 2002 Black Big Beat 24"
The Paiste 2002 Black Big Beat Crash-Ride Cymbal 24" is a crash-ride cymbal featuring a diameter of 24" made from CuSn8 bronze with a medium-thin gauge and vintage finish. The 2002 Black Big Beat Series represents a modern, yet timeless delivering of the legendary 2002 sound. These cymbals feature a distinct hammering pattern with a slightly darkened, semi-matted finish and simplified black logos. With a warm, deep and brilliant sound character, this crash-ride offers a medium wide range with a complex mix and responsive feel. 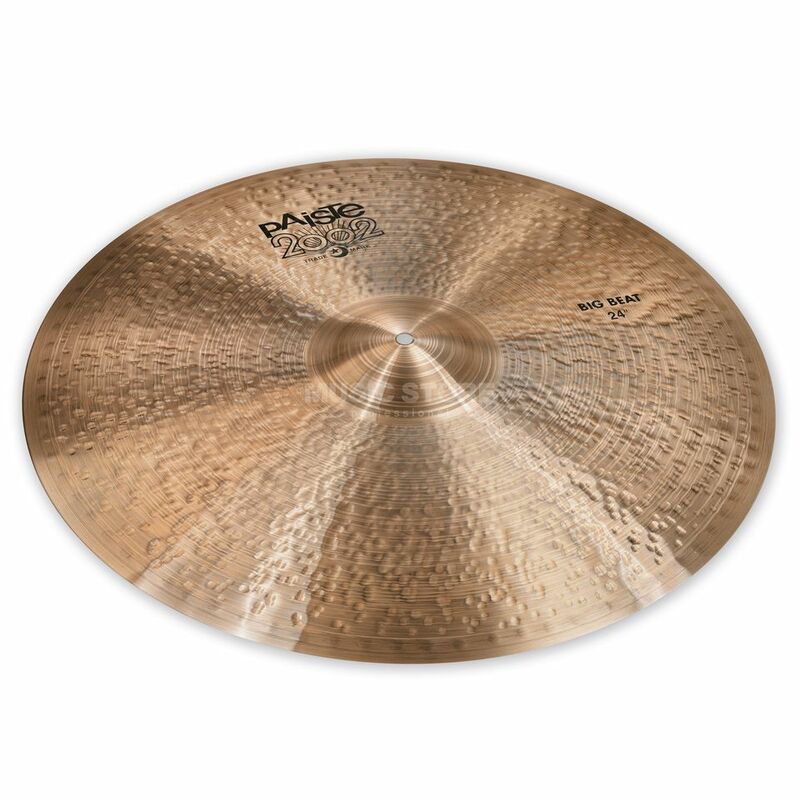 Capable of delivering an airy defined ping over wide multi-layered wash, this cymbal is also equipped with broad, musical and integrated bells.